Ancient and cosmopolitan Malaga still retains its historic roots intact. In long-gone times it bore witness to the origins of man and of the Mediterranean culture, and is today the primary force in the Andalusia tourist industry, keeping alive its tradition of a welcoming and creative land. Maritime Malaga on the coast where winter never comes; and with a mountain vocation inland, where nature is displayed in all its splendor. White villages with their attractive architecture, wrapped in romantic legend, bring points of light into secluded valleys where life goes by peacefully. And from the peaks of the mountains you can watch the horizon until it becomes lost in the immense blue of the sea. 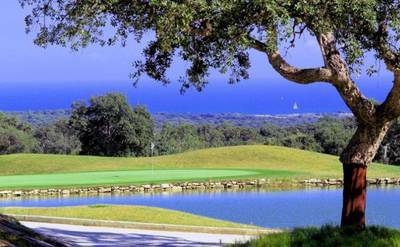 If golf is your passion, you have come to the best region in Spain for this sport. You can enjoy the sun and the golf in Costa del Sol all year round making it perfect for your golf holidays. Being able to play our magnificent golf courses in any season is an absolute gift for golf lovers. It hardly rains here and there is usually little wind. 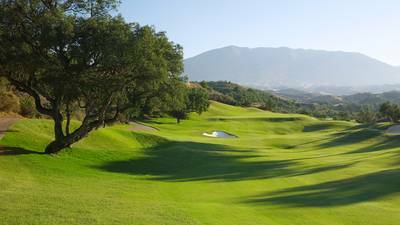 This makes Costa del Sol one the best golf destinations for you to improve your handicap. 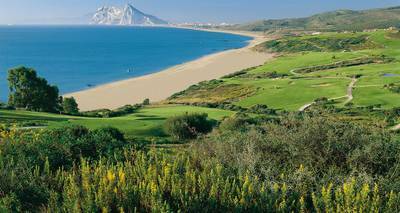 From the Atlantic Ocean to the Mediterranean Sea, Andalusia offers a host of golf courses with top-notch facilities and surroundings that are worth visiting in their own right. Here you will always have an exceptional golfing partner: the Sun . Book your golf tee times on the Costa del Sol with Justteetimes.com, your one stop source for online golf tee times and green fees anywhere. 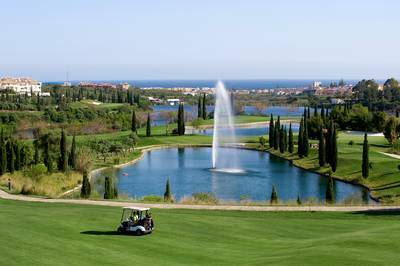 Experience both Villa Padierna challenging courses and play a 2 rounds package (1x Los Flamingos Golf, 1x Alferini Golf).